The case for intelligent lighting controls is compelling and goes far beyond the essential focus of saving energy. 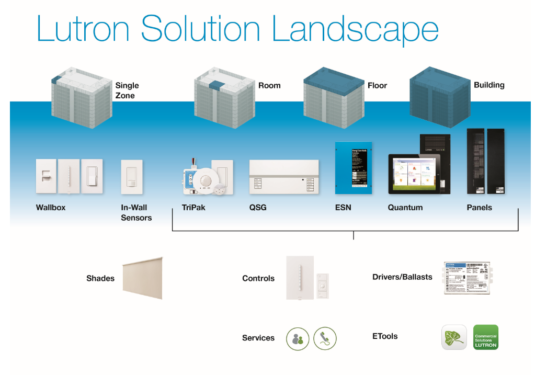 It’s why SaveMoneyCutCarbon is partnering with Lutron with a long-term strategic view on the delivery of innovative control solutions in organisations, businesses and homes. 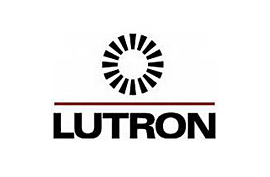 Lutron is a leader in the lighting control industry and as a global organisation is committed to delivering value to its customers. Its founder, Joel Spira, developed the first solid state dimmer over 50 years ago and the company has an enviable reputation for innovative, energy-saving lighting control solutions that provide flexibility, ambience, and comfort in residential and commercial applications. In the quest for efficient, effective lighting, organisations of all types and sizes, as well as homes, have been making the move to LED, which reduces energy consumption by up to 90%. We pride ourselves in providing flexible, end-to-end services that ensure customers get the best LED solutions that reduce bills while improving their lighting environments. Our Lutron-focused services combine the best products with fully trained teams and project managers – it’s something that sets us apart from the competition. And with Lutron, we can deliver even greater benefits and savings with light control products ranging from individual dimmers to total light management systems for complete building complexes. Lutron is providing smart control solutions in a wide range of commercial environments, from offices to educational establishments, in hospitals, museums, and public spaces, as well as hotels, restaurants, retail stores and conference facilities. The quest for light controls to provide the very best dimming is a challenge for many commercial settings and with Lutron, phase dimming is no longer an issue. Light controls are present in domestic settings from small apartments to luxury homes – they are deployed in Windsor Castle and the White House. For the home, there are exciting developments like the RA 2 Select with voice control and a host of other excellent features. More on this and other stunning innovations in future articles. What’s more, the mastery of light in offices and other spaces, may have a positive impact on health and wellbeing. A growing body of scientific research is helping us understand the effects of light on our bodies. In business, the focus on keeping staff well and happy is key to success and as employee costs are around 90% of operating costs, it makes sound commercial as well as good social sense to ensure the best working environments are in place. Heating and ventilation consumes a significant proportion of the £400 million spent on energy in the UK health sector so it makes sense to adopt energy efficient HVAC practices and technologies in hospitals.